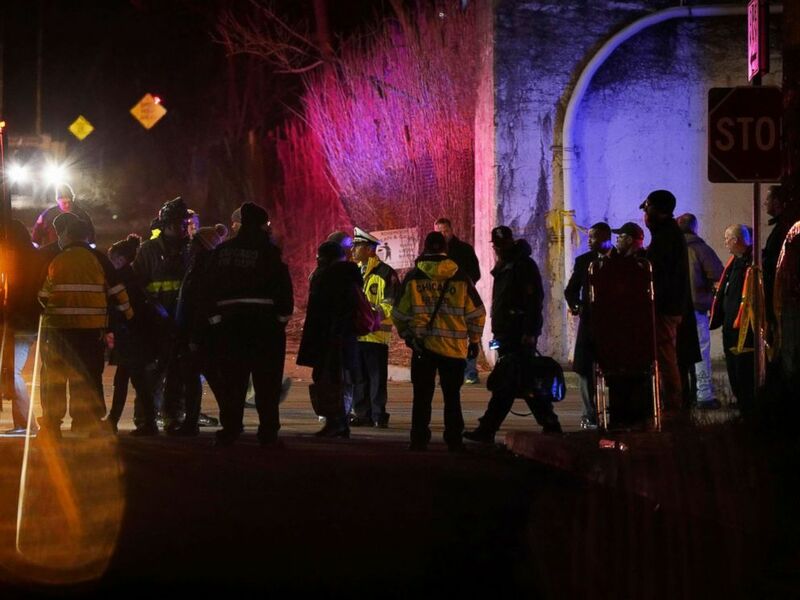 The Chicago Police Department is mourning two of its officers who were hit and killed by a train while chasing a suspected gunman Monday night, officials said. Police officer Conrad Gary is seen here in an undated file photo. Police officer Eduardo Marmolejo is seen here in an undated file photo. The two officers were killed “doing the most dangerous thing any police officer can do, and that is to chase an individual with a gun,” Johnson said. 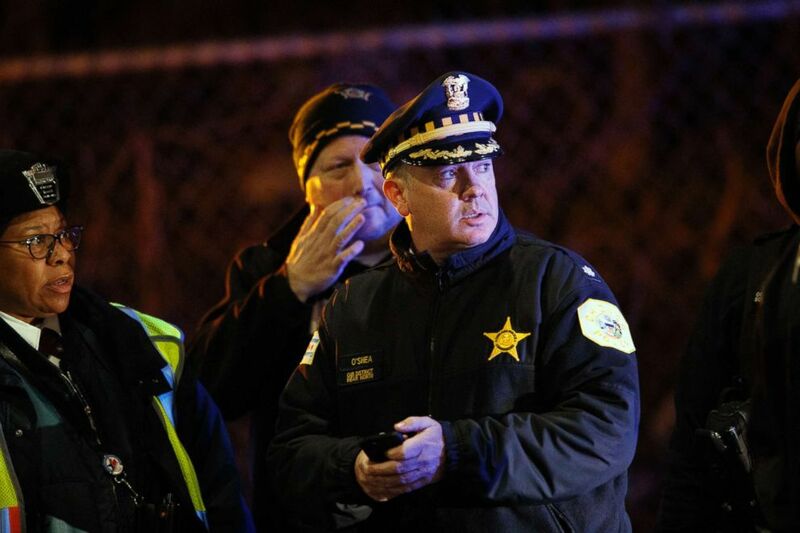 Police work the scene where two officers were killed after they were struck by a South Shore train near 103rd Street and Dauphin Avenue in Chicago, Dec. 17, 2018. The scene at South Shore 103rd Street Rosemoor stop where two Chicago officers were killed by a train while investigating a call of shots fired, Dec. 17, 2018. “These brave young men were consumed by identifying a potential threat to their community and put the safety of others above their own,” Johnson said. Gary was a married father of an infant while Marmolejo was a married father of three children, WLS reported. “This knocks you back on your heels,” Chicago Mayor Rahm Emanuel told reporters. 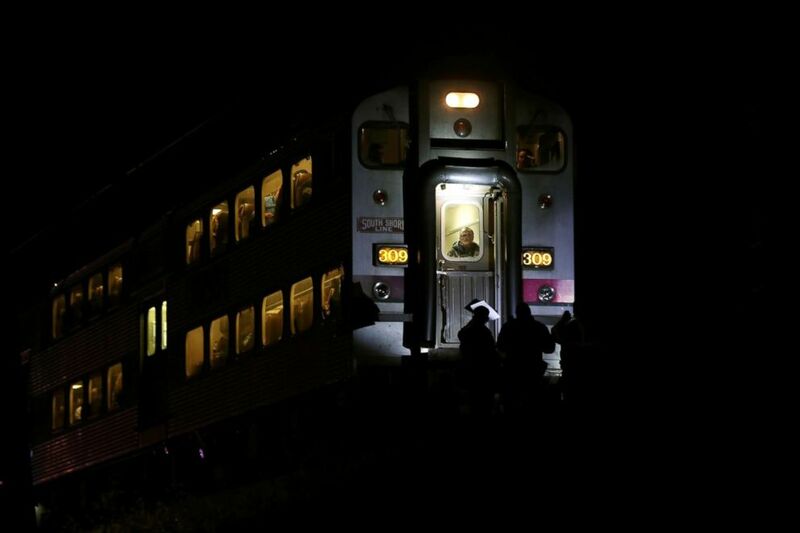 South Shore passengers are transferred to buses at the 103rd Street Rosemoor stop after two Chicago officers were killed by a train while investigating a call of shots fired, Dec. 17, 2018. Gary and Marmolejo’s deaths are the third and fourth for the Chicago Police Department this year. 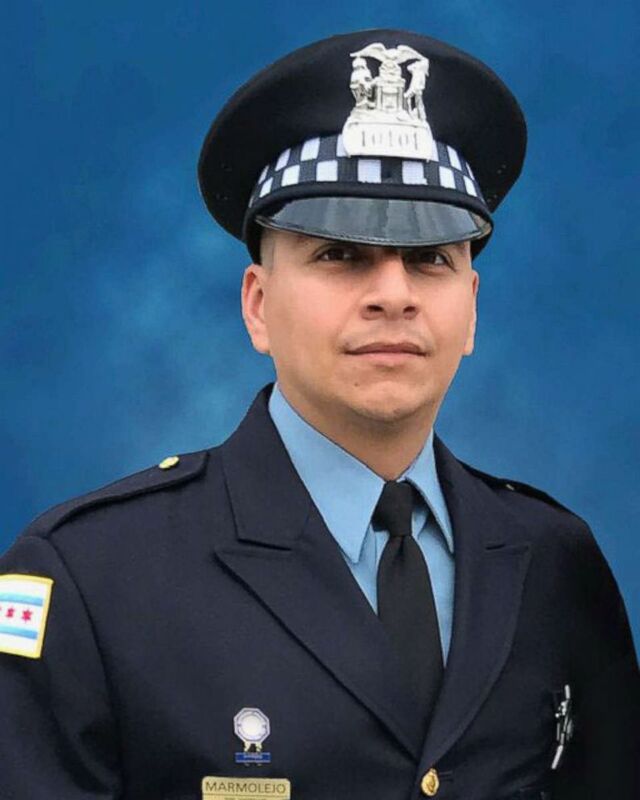 In November, Chicago police officer Samuel Jimenez was fatally shot in the neck while trying to protect employees and patients during a shooting at Chicago’s Mercy Hospital. 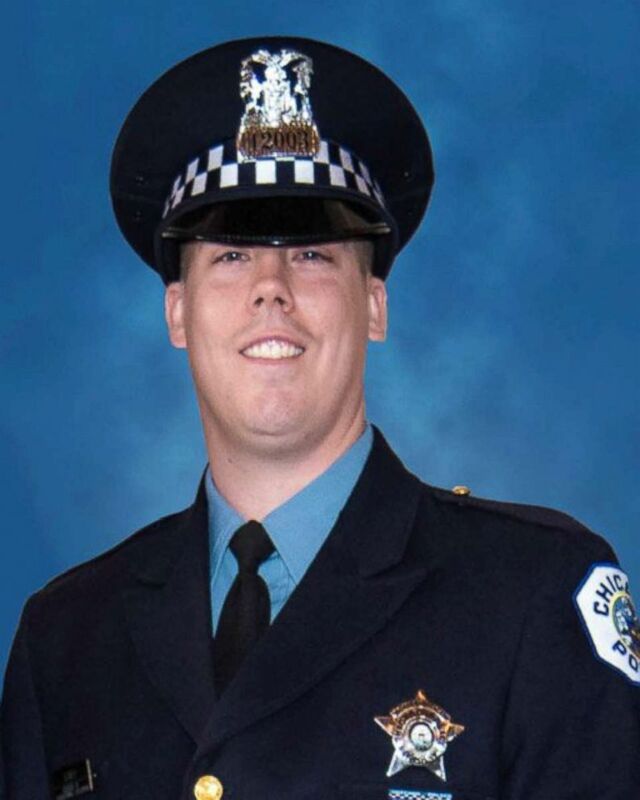 Other police departments have been offering their condolences for the latest slain Chicago officers, who were members of the department’s fifth district. The 25th District would like to send our condolences to all the men and women of the 5th District. May you find comfort in this very sad time. Rest In Peace Officers Eduardo Marmolejo and Conrad Gary. Commander Anthony J. Escamilla & the 025 District.